Companion (pet) animals have no common animal protection law in the European Union (EU), instead the animals are considered under each country's laws. But the EU has determined that - the Union and the member States shall, since animals are sentient beings, pay full regard to the welfare requirements of animals. Some European countries have no laws at all to protect the animals. Other countries have poor laws or ignored in following the laws. Some countries make use of cultural and traditional claims to be able to commit cruelty to animals. A common protective law for companion animals in all EU member States provide an equivalent or higher protection for all companion animals. In many European (EU) countries there is still corruption and stray animals has not escaped the desire for money. 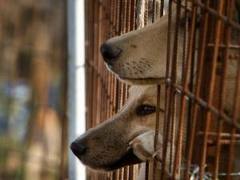 Most municipalities in European countries offer financial contribution to imprison or dispose (kill) dogs and cats. Unfortunately there are too many unscrupulous individuals active in carrying out these activities in order to simply make money. Many enclosures that are used are extremely distressing and the animals have to live in cramped pens, soiled with feces. Or live in the open air without protection for the weather conditions, summer and winter. This are death shelters where the animals have to live in appalling conditions and starve to death or die of disease and neglect or freezing to death. These # enclosures are simply cruel and horrific dog and cat prisons without any empathy for living beings. Although many companion animals gets trapped in different enclosures, living more than half (about 50 million) of all European abandoned companion animals in and around towns and villages. The domesticated animals, which initially had an owner, living every day under harsh conditions. Hunger, lack of water, diseases and hazards is a normal day for the rejected animals. Living conditions for those unwanted animals also means that people in many countries treat them extremely bad. Being a abandoned animal in Europe means that it is perfectly legal to use any atrocities whatsoever to the animals. No EU member states or European country follows its own animal welfare laws or the laws in the treaties. Between March and May 2014, a Four Paws-team of investigators visited and assessed 43 public shelters in Romania -- from around 81 currently registered with the Romanian vet authorities. The results of the investigation are shocking: dog cadavers lying among living dogs, a mixture of food and waste, including urine and excrement, on the floor of the dog cages. As the number of stray animals have a severe overpopulation in many countries in Europe, the abandoned animals no longer seen as companion animals, and an asset to the society, but as a waste product and a scourge that many communities and citizens want to get rid of. Since the supply of stray animals in many EU member States and European countries are unlimited, the management of abandoned companion animals has become a business. Countries, states and municipalities establish shelter and run them with national and local funds from the budget, and by EU grants. Many are employed as a cat and dog catcher, or to run enclosures. This has created a situation where countries are no longer seriously trying to solve the problem of "stray animals", but instead sees it as a job and a source of income. Many of the municipal employees receive a fixed sum per captured and "disappeared" dog. There are rarely controlled recorded information about the number of the cats or dogs that is captured or if the animals are neutered. There are really no control over how the state or local money is spent and if the entire amount goes to the captured animals' care. Hardly any municipalities using budgeted funds or state funding for preventive purposes by neuter abandoned animal or inform citizens to neuter their dogs or cats. There are also unwritten work routines in poorly managed municipal enclosures (these can also be managed by contractors). The managers and employees systematically puts the trapped animals in a group system and purposely let them starve to death to save on dog food, the money is used instead for personal consumption. 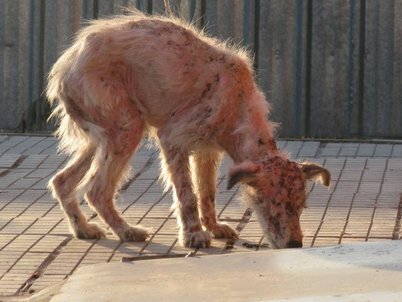 In some enclosures the starved dogs that are ID-marked and die in the enclosure, are reported several months later, in order to let the enclosures managers continue to seek money from the municipality. This is illegal because the enclosure shall only have compensation for the dogs that live in the enclosure. But it's all just about money for these unscrupulous people. Starving animals to death on purpose is a fast way to earn money. No expenses for dog food and they are rapidly making room for new dogs in place of those who starved to death and they can then seek double compensation for a few months. All over Europe there are organizations and associations that are fighting for animal wellfare and rights. Many organizations and associations are actively working in the field and rescues stray animals from their torturous abandoned life. Most organizations and associations are run by donations and by volunteers. They carry a losing battle even though many NGOs (non-governmental organization) are making great efforts by neutering campaigns. In countries such as Romania has started to be some collaboration between NGOs and municipalities with good results. But when the Romanian government in September/October 2013 decided to kill all stray dogs (about 2 million), this agreement has probably been lost now. This short documentary is about some weeks in September 2013 in Romania. It is the first part of a bigger European project. The same version can be found on MARTIN DUFFY VIMEO ACCOUNT. The film talks about the incidents around the death of a small boy in Bucharest allegedly killed by stray dogs and how this incident was used to release within a very short timeframe an emergency law which will lead to atrocious killing and suffering of hundreds of thousands of Romanian strays. Massive catching and killing already started. This film is also about the lucrative business behind the stray animal issue in Romania. It is about connections between politics and media. It is also about viable solutions to the problem offered by NGOs - solutions which are vastly denied by Romanian authorities. THERE IS SOME GRAPHIC CONTENT IN THIS FILM! THIS GRAPHIC IMAGES AND SOUNDS ROMANIAN PEOPLE HAVE TO SEE AND WITNESS EVERY DAY. It took me 8 months to make this film. After 2,5 months of attempts to find some money for crew and technical equipment, after getting some support by some small NGOs, I filmed between 15th November until 6th December. I do everything probono. Thank you all NGOs as well as individuals who helped me financing this almost no-budget project. In the very end, I found probono help by my editors: Raluca Bibiri, my husband Martin Duffy and for polishing Roxana Ardelean and Iulian Ionita. TY!!!! TY to everyone who helped with her/his voice in the film, giving it to the voiceless victims on the streets and in kill shelters. TY to everyone who gave a hand in making it, to everyone who offered material or even whose material I used without the chance to ask for it. Thank you especially Manfred Eicher/ECM RECORDS for the use of the music from the internationally awarded film THE RETURN. By the immense number (about 100 million) of abandoned companion animals suffering in Europe, animal welfare groups desperately trying to help the animals and adoption operations have escalated the last few years. The idea is good, but there is also a danger in this, then adoption may feed profit hungry individuals. Although almost all animal organizations and associations are reputable, there are others who are in this business to make money on the abandoned animals suffering. Both rogue organizations, associations and individuals have quickly seen how the animals can provide rapid money by donations. Nonetheless, it is good to adopt stray animals, although it will only help a few. But those adopted animals serve as ambassadors for their friends who still remain abandoned. 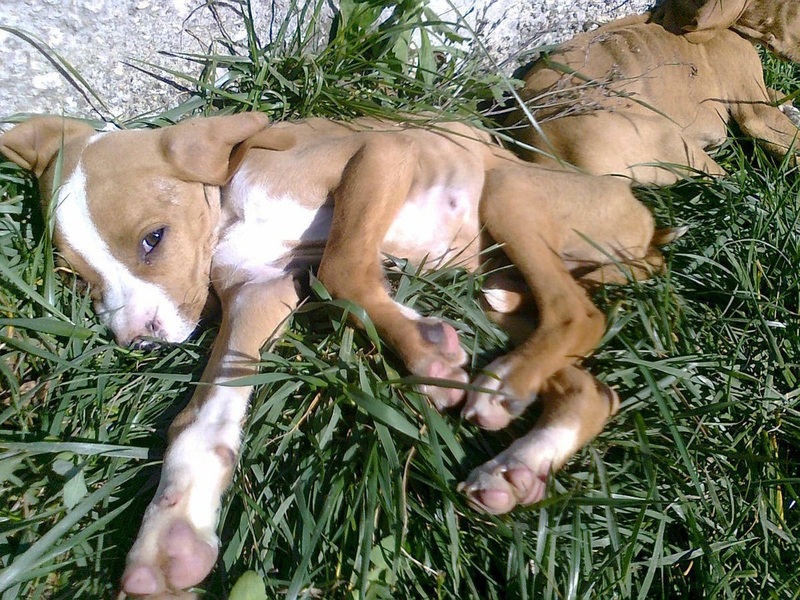 In this way helps adoptions to inform the public about the situation and suffering for the homeless animals in Europe. If you are going to adopt an animal, it is important that you choose an established organization or association. The animal shall be checked by a veterinarian and should have certain vaccinations, ID-documents, etc. Different European countries have also different entry requirements. The entry of animals between EU member States have the same regulations. If you are going to donate you should give money to well-established organizations and associations or people that present their donations openly and preferably is registered as a charity organization. Most organizations and associations are specialists in certain countries or regions and know where the money is most needed. Do not give money to individuals you do not know and meet on the Internet. They often exposes individual animals with tearful pictures and stories without proof that the animal really exists or need money. If you do, you are fueling a bad business chain where animals are suffering. The EU must now begin to take responsibility and coordinate neutering campaigns and also educate the public that un-neutered dogs without supervision, is the root of all stray animal problems. It may also be needed laws that govern it. We need a long term, sustainable and ethical solution. Many dogs in Europe (EU) are forced to live their lives chained in short chains. Some dogs are chained in the garden while other dogs are chained in a dark shed or by a roadside at a rusty barrel. The dogs are often used as guard dogs or hunting dogs. What applies to those dogs is that they all be seen as replaceable tools. For the dog who are a pack animal, felt this lonely life as a life-long punishment. This bad husbandry must immediately cease all over Europe by laws and regulations. It is a very cruel neglect to treat a dog in this way - it is a horrible mental torture. The dogs live a lonely and miserable life. Many dogs have not even protection from the weather but are chained to a corner of a house in the open air, summer and winter. They can not escape other dogs that can harm or mate. There are also exposed to # bad people who have the pleasure to harm unprotected animals. The dogs are also often serious neglected and dehydrated. Most of them starve or freeze to death. Actually, the dogs fill no real function, but is owned by insensitive people and it goes for generations and is a kind of bad habit. Nobody seems to care, when the dog die it's just to get another one on the street or get a puppy from a neighbor - they are seen as replaceable items. Many cats also suffer in the EU and Europe, although they are more likely to survive by hunting, it's not all cats that manage to be on their own, many feel frightened of being abandoned and exposed. Abandoned cats live short and tormented life - diseases, injuries, accidents, poisoning and bad people are daily threats for the cats. The domesticated animals, horses and donkeys are still used as transportation and in agriculture in many EU member States and all over Europe. The animals have to work hard, often above their own capacity. Malnutrition and lack of care, as teeth and hooves are common - makes life cruel to live. Many have wounds and injuries by bad harness or by violence and whips. Many lare left to die by the roadside if they collapse of overwork. Even those animals are seen as consumables and are abandoned in a field, gets beaten to death or offered for slaughter as soon as the animal is no longer useful to the owner. To many animal owners in the EU (Europe) have an inherited mentality that animals have no feelings and can not feel pain - the animals are not regarded as sentient beings. We can be horrified at how countries like China treats dogs, cats and other animals, but we Europeans are hardly much better. What Europe and the EU are better at, is to hide and pretend that the animals who live every day in agony does not exist. That this still continues, as that none of those atrocities exist, and that many countries are a member of a modern European Union, is unbelievable. It is a disgrace for Europe and the EU not to pay more attention to this and not to do anything radical to the problem. For many residents of EU member states and Europe, are stray dogs something completely incomprehensible. Many European countries do not have stray dogs and find it difficult to accept and understand why this can occur when there are laws on animal husbandry that can prevent over-population. Countries and citizens who do not have these problems looks with disgust at how other countries year after year, ignoring the problems and let the animals suffer. We now demand that the EU change the treaties so that companion animals are subjected to common EU laws. We do not need more years of mismanagement by many EU member States who demonstrate extreme animal cruelty - the evidence is all too clear that countries are not able to manage and curb the stray animal problem or to institute laws to citizens so that they care for their animals in the best way. The EU needs no more considerations - change the treaties NOW - no modern country should have stray dogs, stray cats, or other domesticated abandoned animals. Regardless of corruption or money should laws be followed in the EU and Europe. Especially animal protection laws, when domesticated animals are totally dependent on human care. Being a member of the EU does not only mean to have rights, but also obligations. Obligations that proper animal welfare laws are established, followed and that ethic and morality are respected. In fact, we want to bring more ethical and moral values ​​in the EU, we are tired of inhumane profit thinking parliamentarians - it's not all about money, jobs and trade - it's about good values​​, traditions and life qualities that builds good societies with friendly citizens. Therefore it is also needed a legislated mandatory animal welfare education in all primary schools in the EU. It appears that too few countries inform their citizens about what is actually in the area of ethic, morality and animal welfare laws. 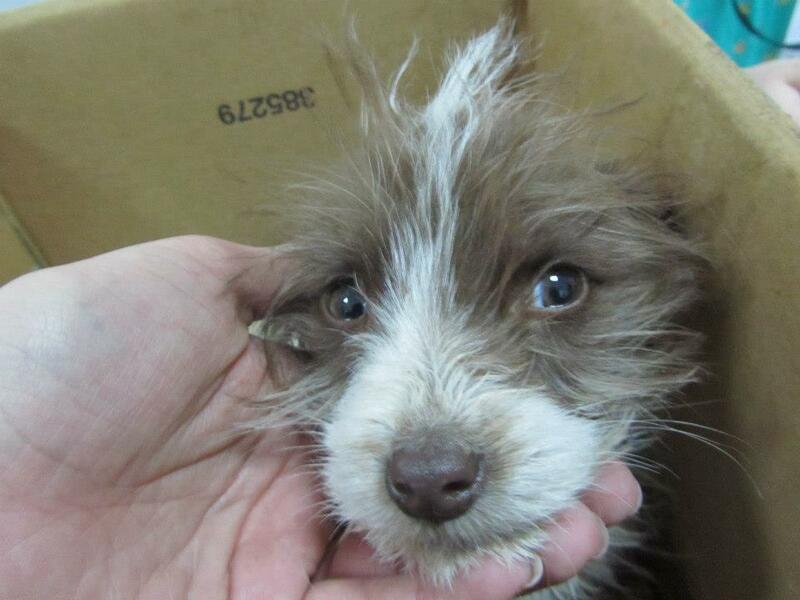 This little homeless puppy - is truly a sentient being - who can feel loneliness, hunger, pain, sadness and longing for love.